When the time comes to get a new home HVAC system, one of the first things you have to deal with is figuring out how to pay for it! The cost of a new central air conditioner can range from $1500 for a basic cooling only system, to $15,000 for a high end changeout from a brand like Carrier or Trane. Fortunately, there are usually several options to pay for the new system! Whether you choose to pay cash, finance, barter or put it on a credit card, here are 8 ways to pay for all or some of your new central cooling system. A large appliance like this, that you have for several years… is one of the few purchases that it makes sense to put on a credit card if you have no other choice. And if you do pay cash, ASK FOR A DISCOUNT from your Contractor! They have the overhead of credit card fees, bounced checks, etc built into the cost of a system. If yo pay cash… there is no risk. Also… a check, is not cash! ** I just wanted to add that if you DO pay cash, make sure you are dealing with a large company you can trust, and get yourself a receipt! Many local power and utility companies offer financing, and most offer energy incentives to buy high efficiency! Most brands like Trane and Carrier have their own finance plans, or preferred partners for financing. There are many local grant programs for lower income families who cannot afford the cost of replacement. If you have equity in your home, this is probably the best way to get the most affordable loan for your needs. Go to your bank and get an equity line! 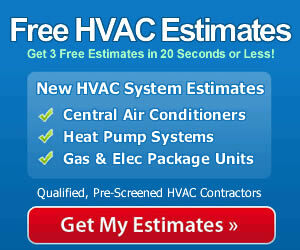 Do you have a skill or Service that may be helpful to the HVAC Company? (or its Owner?) Barter is always on the table as a partial payment! 8 – Get Creative and Ask for Referral Credit! If you think you have what it takes to make a big impact… Ask for a $100 credit for every new lead you can deliver before they finish the job! Round up neighbors, use Facebook, tell Co-workers, basically… create some buzz around the company putting in your system and drive business to them! 10 friends who need their services… that a discount of $1000! Share ideas you have, or if you are an HVAC Company, share with readers how they might be able to save or pay with your company!